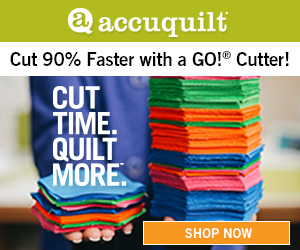 Since 2008, AccuQuilt has been saving quilter’s. When we say SAVING quilters, we mean SAVING them time, eliminating wasteful cuts, maximizing accuracy of every quilt block, avoiding all rotary cutting accidents, speeding up the cutting process and the best part, GIVING all of us more time to quilt! If you have not tried an AccuQuilt fabric cutter at your local AccuQuilt retailer, search one out today. Quilters mention time and time again how effortless it is now to cut out an entire quilt. Sometimes they cut out more than one quilt at a time. If you are on a roll…do not stop! Cutting is sometimes quilters biggest hand up because it takes so long. Some quilters complain about fatigue or not having the strength or accuracy to rotary cut. Without the cutting, a quilt can never get started. AccuQuilt fabric cutters fix all those problems PLUS speeds up the entire process. 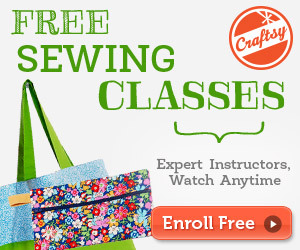 It can even help reduce the never ending SCRAP issue quilters have. Fabric leftovers can now be cut up into manageable sizes to use later like 5″ squares, half square triangles, 2 1/2″ squares (shown below) and even the ever famous 2 1/2″ strips. AccuQuilt employees are given two hours a week of paid time to work on their projects. Employees also attend a company meeting every morning where they can share their “show and tell” projects. Tons of FREE Quilt Patterns! AccuQuilt’s website is loaded with 100’s of FREE quilt patterns. Whether you own an AccuQuilt fabric cutting system or not, take a few minutes to scroll through their endless online catalog of quilt patterns. Bias Binding in a Flash! Check out Sara’s video on how to make bias cut 2 1/2″ bias binding strips for an entire quilt in less than a minute! Whether you make one quilt a year or 50 quilts a year, the AccuQuilt GO! fabric system is a game changer. My least favorite thing to do – cut fabric- looks like my problems could be solved. How much and where do get one?